A mom and dad share the comforting nightly bedtime routines with their toddler. There’s ‘splash-a-bye’ time in the bathtub, ‘rock-a-bye’ time with silly songs, ‘hush-a-bye’ time with the moon watching from high above, and of course, ‘lull-a-bye’ when the little one eases gently into sleep as her parents give a final good-night kiss. Its soothing read-aloud rhythm and rhymes, paired with its warm and cozy illustrations, make this book a wonderful celebration of love a family shares at bedtime. A perfect gift for new and expectant parents or grandparents to share with their own little one. 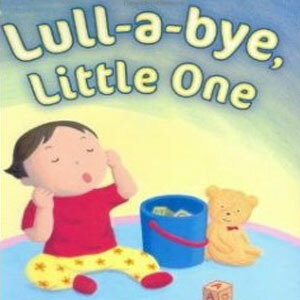 Lull-a-Bye, Little One has been a selection for the Imagination Library, the Dollywood Foundation’s national childhood literacy program, since 2007.